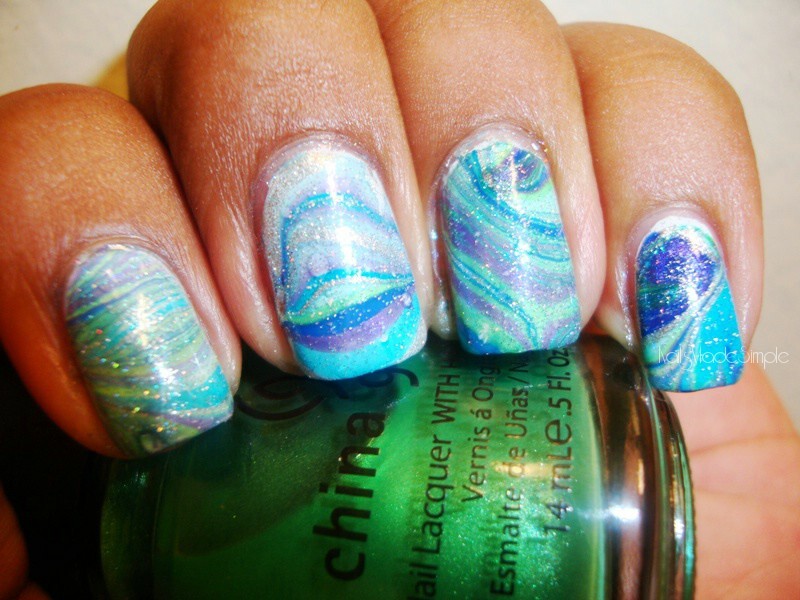 Polish Amor ♥: Guest Post: Maria from Nails Made Simple shows us an awesome water marble!!! Guest Post: Maria from Nails Made Simple shows us an awesome water marble!!! 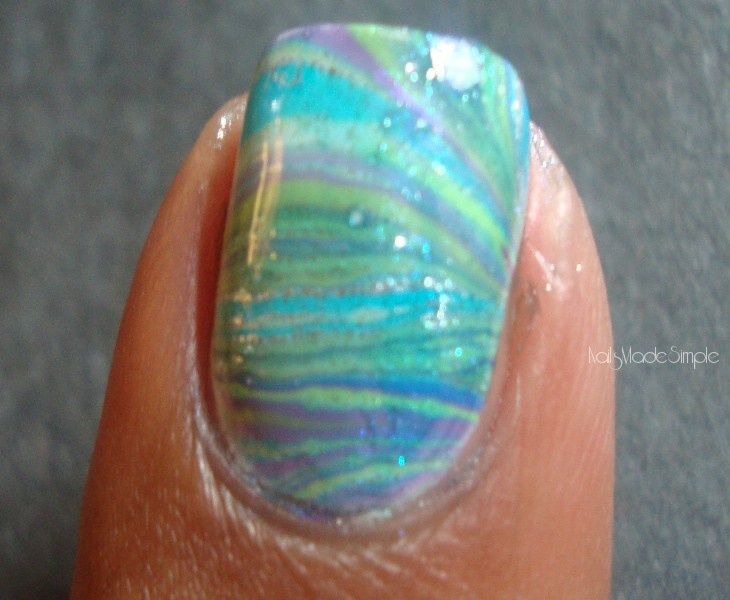 I have a treat for you today, be prepared for a sweet water marble from my first guest the lovely Maria from NailsMadeSimple! *I am also doing a guest post on her blog.... if you have time check it out!!! She's asked me to do a guest post on her blog and i was beyong thrilled.! 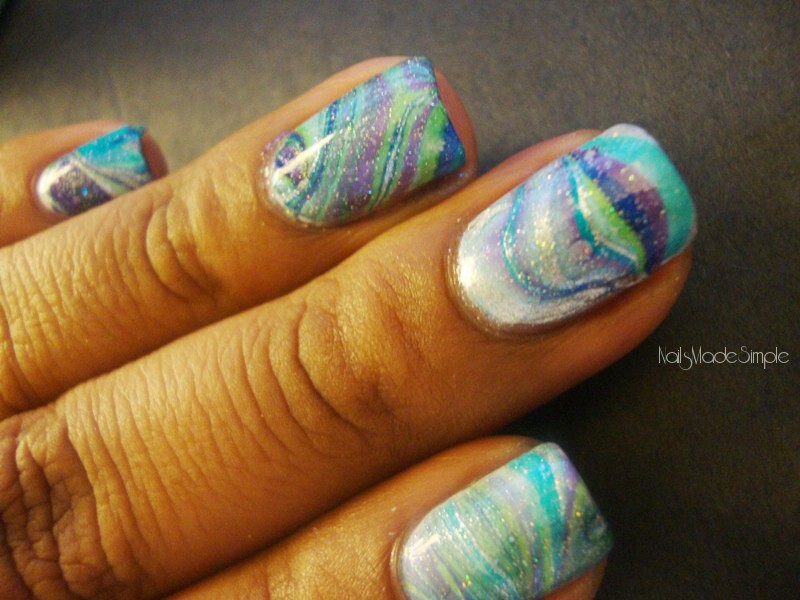 With her recent post where she did uuhmaizing stamping with a gradient i knew i couldnt top that off but i couldn't come here and do a simple swatch, therefore i decided to do water marbling. i did do 2 coats of white nail polish and used tape to minimize the clean up. hope you all enjoyed my post here.! 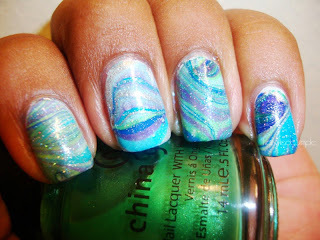 Thank you Maria for doing this guest post, your water marble looks ammmaaazingg!!! Thanks for your sweet words and your friendship, I am most definitely glad to have met you in this crazy blogging world! 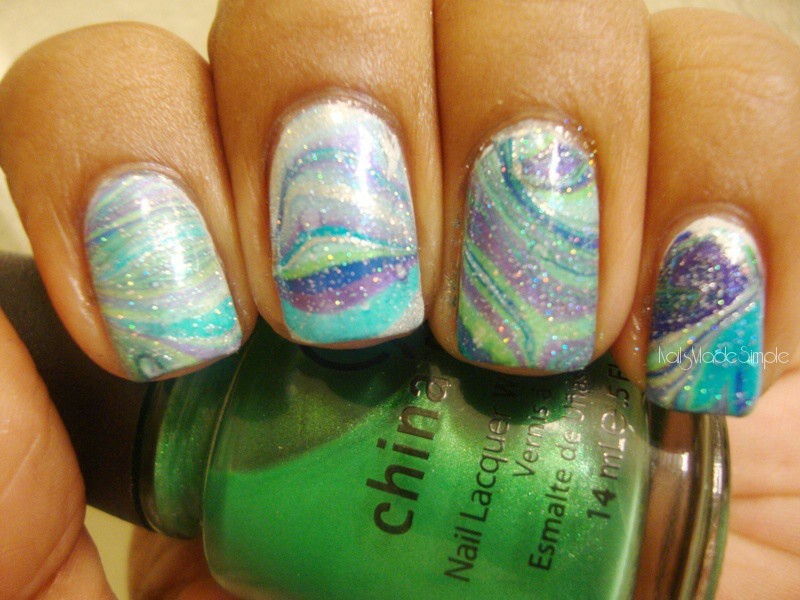 I hope you all liked what you saw...for more post like this one, please make sure to check out NailsMadeSimple!!! I love water marbling-but too lazy for all that cleanup! your splatter rocks.! 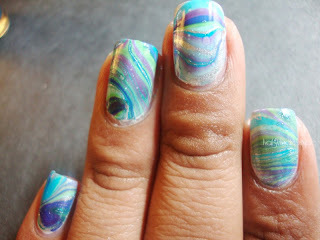 my water marble is nothing compared to yours..but i tried ;) soo glad u liked it doll.! i LOOOVEE this!! 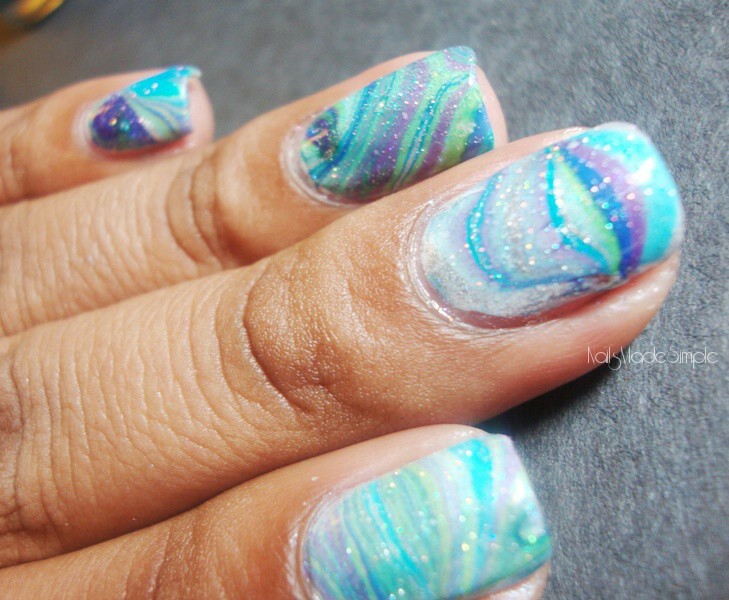 gah, i need to try water marbling!